Student presentations and performances are a remarkably effective way of getting students to learn and take ownership over the material. They do, though, present some problems. They can be difficult to organize and time-consuming. Whether in person or virtually, getting all of your students to either conduct a presentation or host a group conversation can be a logistical nightmare. The other big headache is feedback and grading, which can be difficult to implement. With the most common problems being that instructor comments are too general, not trackable, or not effectively tied to the student’s work. So short of eliminating a really effective learning method, how can we make all the logistic hassles involved with student presentations or recorded conversations easier? 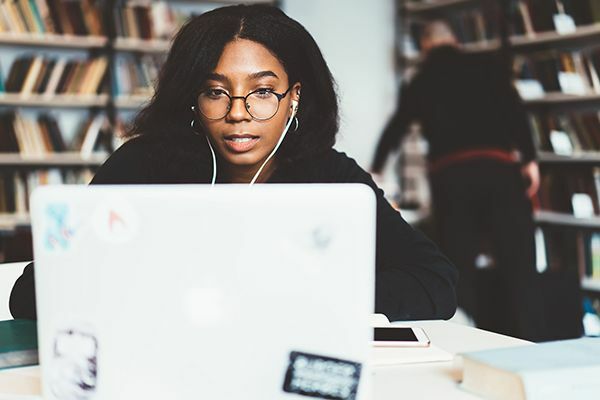 The new integration of goreact, an online video and feedback software, into McGraw-Hill’s Connect program offers a ready-made digital solution that can easy a lot of these challenges. The product allows students to deliver speeches, record themselves for presentations, or conduct filmed conversations in other languages. Better yet, instructors can leave time-coded comments within the video, zeroing in on specific moments that students may wish to address and/or grading holistically with a custom rubric. As of right now, it’s being used in a smattering of disciplines—Communication and Business Communication use Video Capture powered by GoReact, and World Languages utilizes Recordable Video Chat, also powered by GoReact—but the possibilities seem limitless. Perhaps the most wide-reaching contributions of the Video Capture feature powered by GoReact are the ways it can optimize efficiency and cut down on wasted class time. Instead of dealing with clunky video equipment or unfamiliar software, instructors can film student presentations and grade them in real-time using a simple Smartphone to record. The program also offers the opportunity to students to easily deliver live virtual presentations or speeches outside of the classroom. Initial student response shows higher levels of confidence and a greater satisfaction with instructor feedback. Languages are also impossible to learn from a textbook alone. You need to be able to speak, hear, and immerse yourself in a foreign language in order to really “get” it. Connect’s new Recordable Video Chat powered by GoReact allows up to six students to engage in filmed conversation, practicing the target language and receiving feedback from their instructor. Whether in face-to-face sessions or online courses, the savvy instructor can create an atmosphere of total immersion for language-learners. The coolest function for both of these new Connect tools is probably the way it allows instructors to leave time-coded comments and markers. With time-coded comments instructors can zero in on specific moments in the presentation or conversation—a fumbled pronunciation, perhaps, or a really effective use of a public speaking technique—and draw the student’s attention to it. Time-coded feedback can create a wealth of close, critical feedback (usually down to the second) in real-time. Furthermore, a group chat function allows presenters to receive additional comments from their peers. Markers can also be created for commonly used words or phrases you find yourself typing over and over again during assessment. These markers can then be quickly saved make the grading and feedback process less tedious and more time-efficient. Students can also use these markers for self or peer-review. By incorporating Connect with GoReact into the classroom, instructors are strengthening their students’ communication skills and preparing them for the workplace. Offering close, incisive feedback—while maintaining the efficiency and pace of a 21st century classroom—can help students gain confidence and grow as articulate and artful speakers. Want to learn more about GoReact for your discipline?